For the past 2 years, small business owners have been trying to make sense out of Penguins and Pandas. If you run a business and own a website, you’ve probably heard of these infamous updates to the Google search algorithm. But do you understand what they mean for your business? Is your SEO agency using post-penguin and post-panda scare tactics in order to squeeze a few more dollars out of you? The truth is, Google updates its algorithm hundreds of times each year in order to keep delivering the most relevant search results. And even though they were relatively significant changes, the Google Penguin and Panda updates only affected a small fraction of websites. So to help you avoid the “panda-monium” surrounding these algorithm changes, here’s a breakdown of Google Panda and Penguin in plain English. Released in 2011, Google Panda is the considered to be the “quality content” update. Panda is an extremely complex update that targets many different factors, but Google’s main goal is simple: Penalize websites with low-quality content or a bad user-experience. Duplicate content – this primarily targeted scrapers / copyright infringers getting better rankings than the sites where that content originated. For ERP VARs, this can also affect websites that copy and paste product descriptions from the publisher site (Sage, Microsoft, SAP, etc.) onto their own. Or if you have a few pages within your site that have nearly identical content with just different keyword combinations, Panda might affect you. Thin Content or Too Many Ads – affects websites containing very little content and/or too many display ads. Slow Page Load Times – on the “user experience” side of the equation, websites that are painfully slow to load were penalized. You can test the speed of your website using the Google Page Speed Insights tool. If a website is discovered to have any of these problems, and depending on the severity or extent of the issue, Google will apply a “spam flag” to a specific page or to the entire website. Bottom Line: Create your own original, unique, and compelling content. Quality over quantity. Also pay attention to the usability of your website by making sure to resolve broken links or pages that have moved, avoid too many ads, and be sure that pages load in a reasonable amount of time. 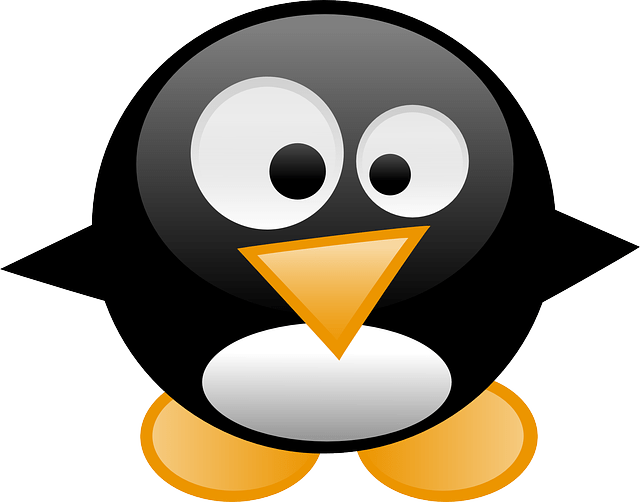 Released in 2012, Google Penguin is considered to be the “over-optimization” update that penalizes websites that engage in manipulative, black hat SEO tactics such as link schemes and keyword stuffing. Here’s a useful video that provides 6 Changes to Make On Your Website to Avoid Over-optimization Penalty. Essentially, over-optimization penalizes websites that create robotic keyword-stuffed content/pages designed for web crawlers, not human beings. When it comes to the penalty for low quality links … if you have 1,000 links pointing to your website with the anchor text “ERP software”, Google will apply a spam flag for that specific keyword. It’s over-optimized and unnatural because it looks like you paid for those links and asked them to include the words “ERP Software” in the anchor text. Worse yet if many of those links are coming from low quality sites that are irrelevant to the topic (“ERP Software”) like home improvement, recipe, or fitness websites that are just slapped up on the web and have very little traffic/authority. Bottom Line: Create content that reads well and is designed for humans, not robots. Also, clean up your link profile, disassociate yourself with link farms, and don’t be tempted by those “1000 links for $5” ads. Backlink Watch is a quick and easy-to-use tool that gives you complete and detailed information about the quality and quantity of the backlinks pointing to your site. Need Help Figuring it All Out? If all this talk about Penguins and Pandas has your head spinning, perhaps its time to contact Juice Marketing. Improve your website and SEO efforts with a GoogleJuice Website Audit. We’ll comb through your site and deliver a report that outlines the SEO tactics that you can implement to keep the Penguins and Pandas away. Great information, thanks for sharing. Google Penguin is mainly a backlink-related over-optimisation algorithmic penalty which could months to recover. To recover you will have to conduct an comprehensive link audit, identify and remove bad links and then wait for the algorithm to be re-run against your site.